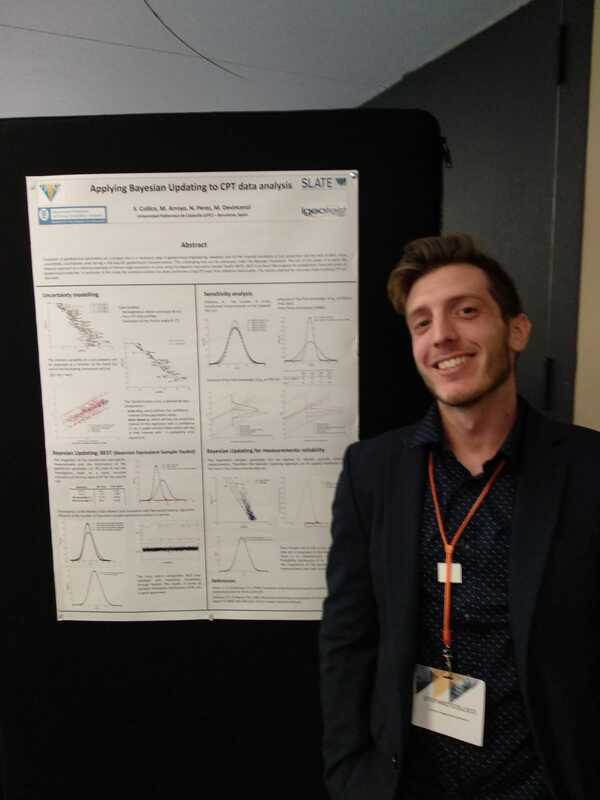 The 4th International Symposium on Cone Penetration Testing at Delft University (Holland), was mostly focused on the interpretation of cone penetration tests (i.e. CPT, CPTu) in the frame of geotechnical site characterization. New methods concerning the importance of the quality of CPTu measurements, soil delineation interpretation and evaluation of geotechnical design parameters from CPT measurements, were proposed and discussed during the conference. During the open discussions, several opinions come up for further interpretation of these tests. In this context my work was based on the statistical interpretation of the CPT measurements for the evaluation of the characteristic value of the friction angle in a sand layer. In the specific a Bayesian analysis was conducted to reduce unavoidable uncertainties which intervene in the definition of geotechnical design parameters for a specific site. Furthermore, several geotechnical companies (i.e. Fugro, Pagani, Geomil equipment) attended the conference aiming to show new equipment developed to optimize the collection of cone penetration measurements. Evaluation of geotechnical parameters on a project site is a necessary step in geotechnical engineering. However, due to the inherent variability of soil properties and the lack of data, many unavoidable uncertainties arise during a site-specific geotechnical characterization. This challenging task can be addressed under the Bayesian framework. The aim of this paper is to apply the Bayesian approach to a reference example of friction angle evaluation in sand, using the Bayesian Equivalent Sample Toolkit (BEST). BEST is an Excel VBA program for probabilistic characterization of geotechnical properties. In particular, in this study the statistical analysis has been performed using CPT tests from reference field studies. The results obtained for one case study involving CPT are discussed.